I started this Autumn thinking that it was going to be over before I had a chance to go out there and take anything – as what had happened with the “heather season” this year (a full two weeks early I think!). That said, it is now mid October and there is still a good deal of coverage on the trees and a lot of green, despite the initial “burst” of colour that got me worrying. 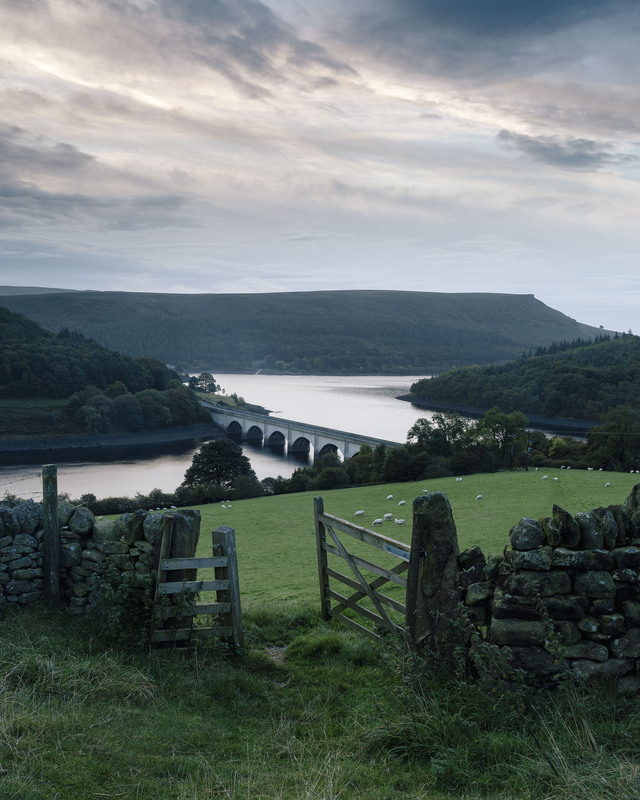 In the end, I’ve got out on a couple of Saturdays and maximised my journey’s home from work on the other side Peak District by stopping on the way to work and on the way back at places along my commute. As a result I have visted places that I wouldn’t have thought to visit and taken a couple of shots that along the way have pleased me. I managed on two occasions to get to the (in? 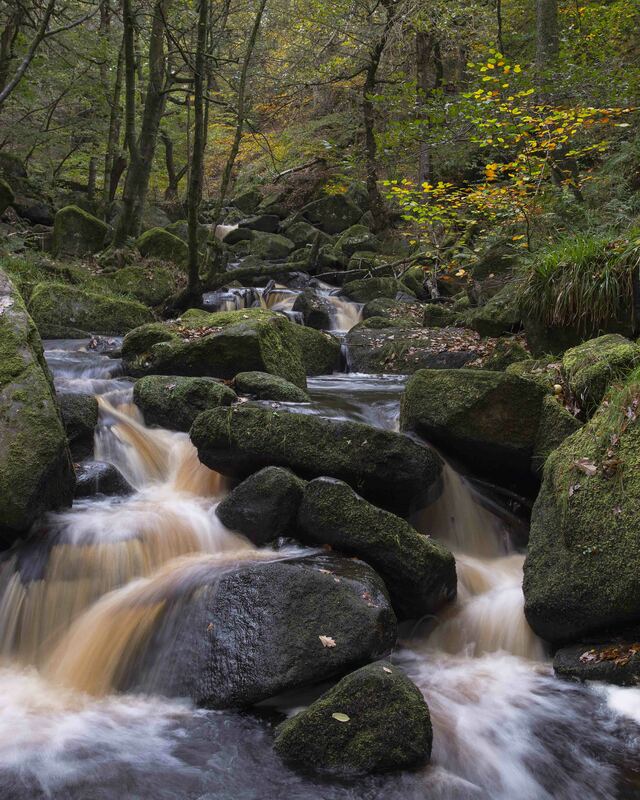 )famous Padley Gorge (or Padleygeddon as I call it – with my tongue firmly in my cheek). 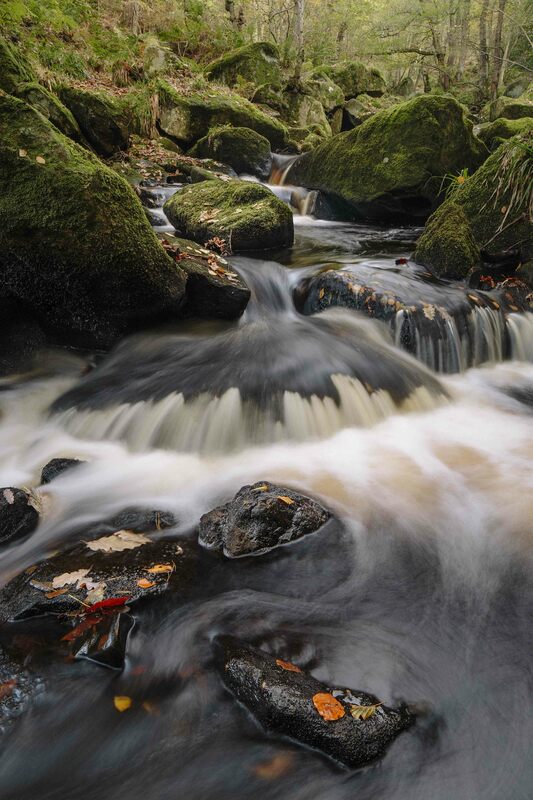 Padley Gorge is a great a place to visit – just be prepared at this time of year to be sharing the place with other photographers. Which in many ways defeats the purpose of photography for me, to get a way from it all and to enjoy the peace and solitude of the countryside. That said, it is worth it. 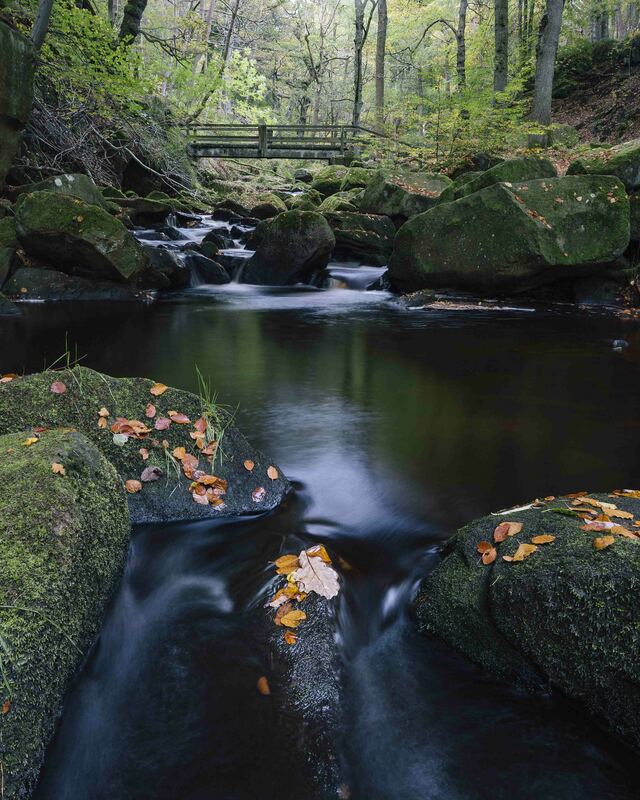 Visiting Padley Gorge, and particularly the Burbage Brook that runs down it, gave me a good opportunity to try out my new tilt shift lens. 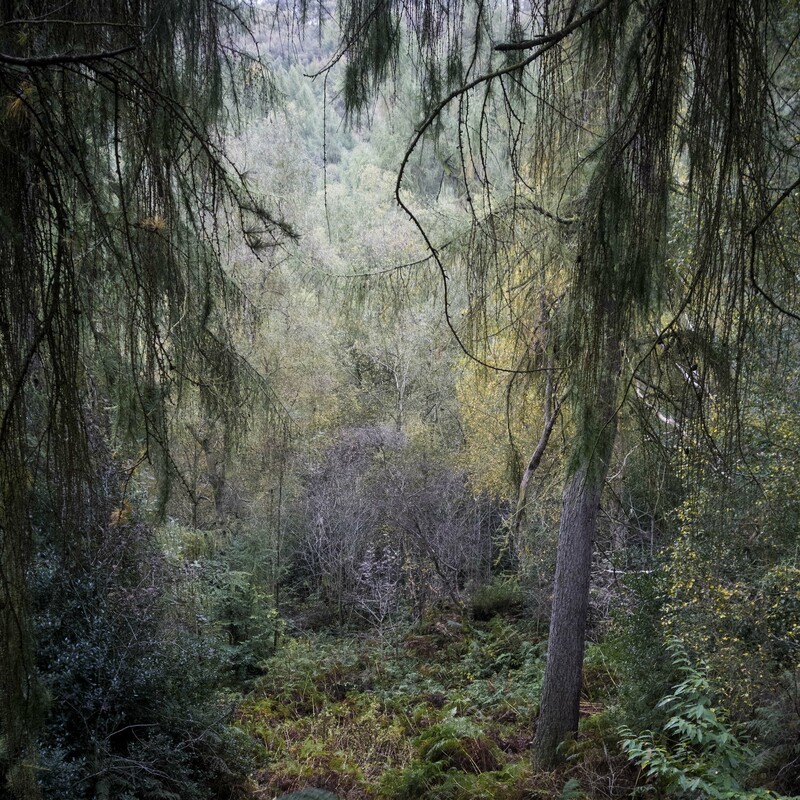 Without getting too technical, it allows me to put to objects on to the same focal plain ie something in the foreground and the background can both be in focus. Its an interesting technique, that forces me to slow down and get back to the kind of slow photography I did when I shot film. 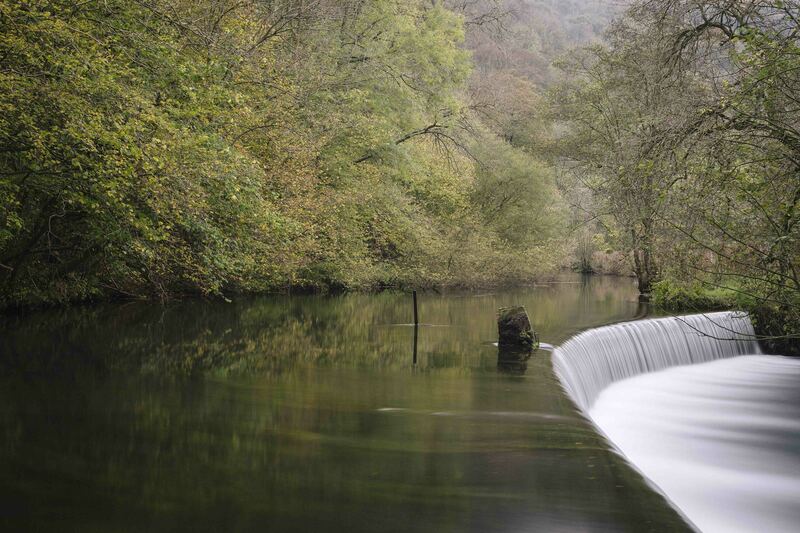 I also managed to pay a brief visit over to Monsal Dale and to walk along the Wye. I had a number of attempts over the years at capturing this weir at Great Shacklow Wood which powered a very photogenic bone crushing mill slightly further down stream. 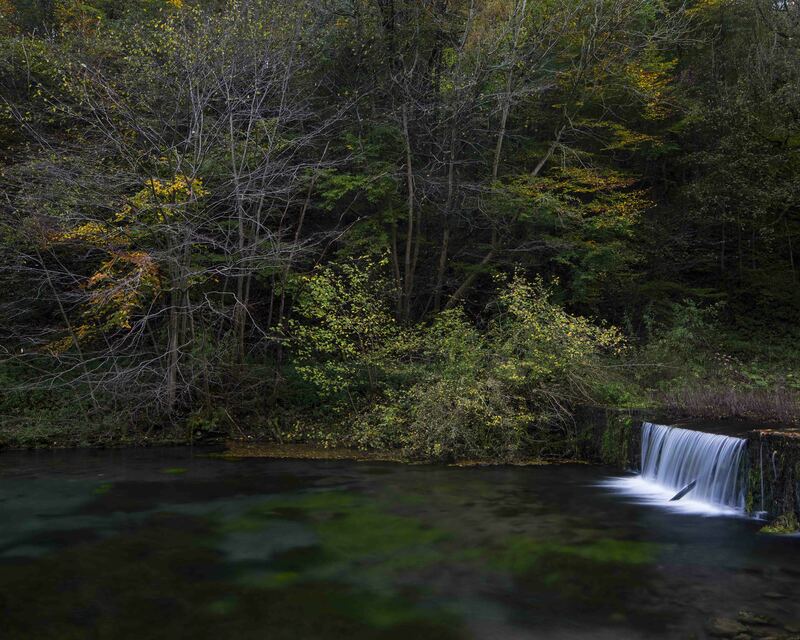 By applying the much maligned “Big Stopper” filter, I extended the length of time the shutter was open which “slowed” the water down to create the effect you see. The above shot I have planned in my head for a number of years (pre-visualised??? ), but until this year I’ve never found the time. This year with leaving work early on a Friday I managed to get here at around sun set in Lathkill Dale. With the low light levels and the long exposure I managed (I think!) to capture just the right amount of movement in the water fall. 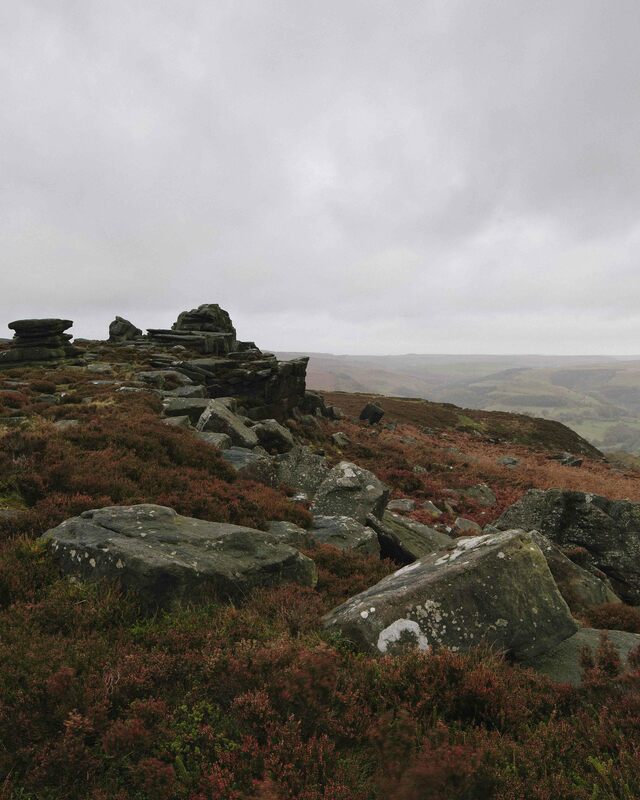 Below are another handful of shots from around the Peak District that I took this autumn.